How to recover important images from deleted WhatsApp conversations effectively? How to recover images from deleted WhatsApp conversations? How to find images from deleted WhatsApp conversations? Don’t be panic any more, here’s the solution to retrieve images from deleted WhatsApp conversations. I accidentally deleted a WhatsApp conversation which contained a lot of important pictures, I need to recover them all. Can anyone help me?! It is undeniable that losing data can be a heartbreaking experience, and the process of recovering it seems even worse. What would you do to recover images from deleted WhatsApp conversations? Actually, iFonebox is definitely the great option for you to get missing data back as soon as possible. When it comes to professional and remarkable iOS data recovery program, iFonebox remains unsurpassed position. Compared to traditional recovery method with iTunes or iCloud, iFonebox is able to find only images from deleted WhatsApp conversations instead of restoring your whole backup. 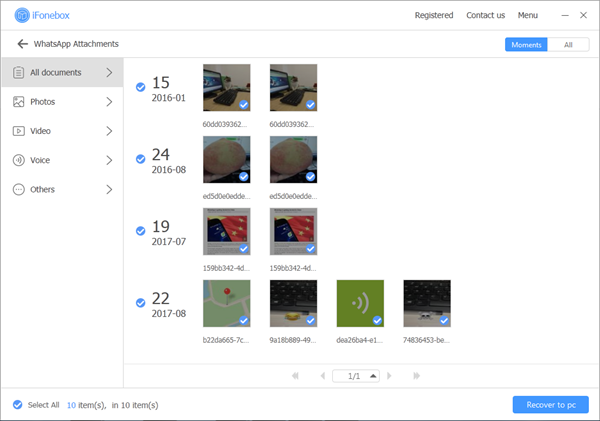 You may not easily believe that iFonebox is intently designed to recover as many sixteen kinds of data loss in various scenarios, like accidently deletion, update failure, even iPhone lost. As we all know, the latest version iOS 11 will coming soon, have you thought about that some important call logs disappeared after iPhone update to iOS 11, what would you do to get them back? Actually, iFonebox can help you get out of this kind of predicament conveniently. 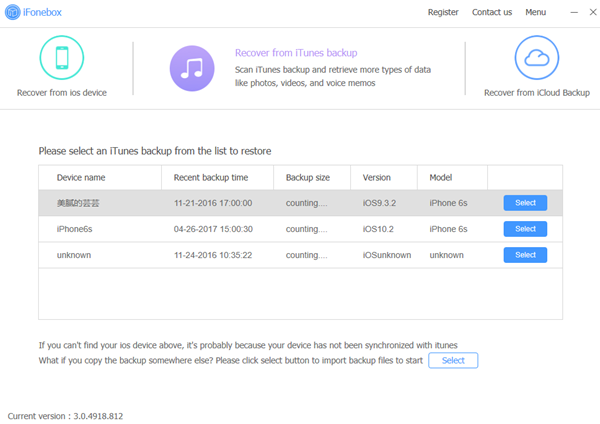 We are all advised to create backups of all the data on our devices because it can maximize the possibility to find your disappeared data and numbers. Next, I need show you the instructions of retrieving images from deleted WhatsApp conversations under the help of iFonebox. 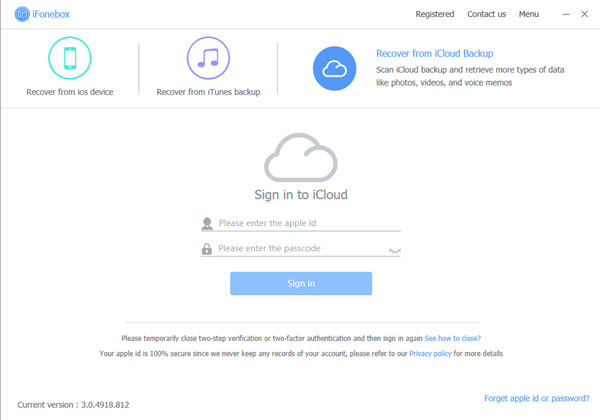 Your associated and accessible iTunes or iCloud backup. Step two: Scan data. It will scan automatically after you click WhatsApp Attachment icon, it might take your some time and the duration depends on the amount of your data. Step Two: Scan the data. Click WhatsApp Attachment item to start scanning automatically. If you want to recover only message conversations, please click on WhatsApp item. Step Three: Check and recover. It’s time to get your missing data back, all you need is select the information you want and click the Recover to PC or device directly，then the task is accomplished.